The Rocky Mountain Professional Chapter of EWB-USA is a group of diverse individuals, who come together around a common purpose. These professionals have included engineers, scientists, policy specialists, attorneys, fundraisers, marketing specialists, returned Peace Corps volunteers, public health practitioners, language specialists, project managers, and more. Our mission is to build a better world through engineering projects that empower communities to meet their basic human needs and equip leaders to solve the world’s most pressing challenges. 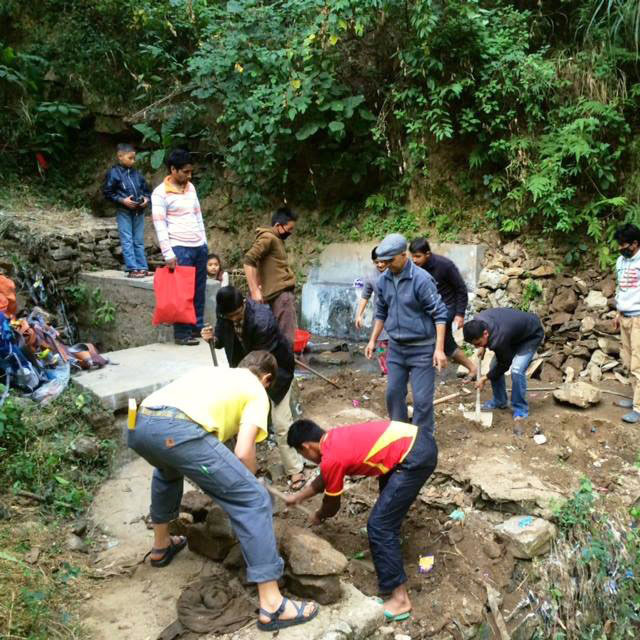 Every EWB-RMP project starts with the initiative of the community requesting assistance. RMP’s work begins in developing relationships with our community and NGO partners. RMP works closely with our partners to design appropriate solutions. After these designs are peer-reviewed by expert members of EWB-USA, local community volunteers construct the project with RMP oversight. The community takes full ownership of the sustainable project as well as responsibility for all operation and maintenance. EWB-RMP and our in-country NGO partners monitor the system and provide guidance to the community if needed in the years following the completion of construction. Email the executive board at officers@ewb-rmp.org. Jeff received his BSEE from The Ohio State University and his Master's in Electrical and Computer Engineering from the University of Colorado. He worked in computer hardware development at Hewlett Packard for 26 years, as an electrical engineer and engineering manager. Jeff is a certified PMI Project Management Professional. He has served as an Engineers Without Borders Project Lead and has traveled to Guatemala with EWB. Jeff is also very active with a Colorado non-profit called Trees, Water, & People (TWP), an organization that designs conservation projects throughout Latin America and on U.S. Tribal Lands. He is currently serving as the President of the Board of Directors at TWP. Nicki received her Bachelor's degree in environmental engineering from CU Boulder, and more recently her Master's degree in civil engineering with a certificate in Engineering for Developing Communities. She has worked with an NGO called El Porvenir in rural Nicaragua to assess the social, health, and economic impacts of their household latrines and community wells. Nicki has been with RMP since 2017. David Willenbrink is a Research and Development Engineer in the biomedical industry. He earned his B.S. in Mechanical Engineering from the University of South Florida in 2014 and has a graduate certificate in Renewable Energy Business and Technology from CU Boulder. David joined Engineers without Borders in 2018. Dave Sutherland received his Bachelor's degree in Computer Engineering from the University of Alberta. He worked for six years with oil, water, and gas pipeline control systems in Calgary, Canada. Over the last 17 years, he has developed financial software in Bermuda, Philadelphia, and now in Boulder. Dave joined EWB RMP in early 2018, and has primarily worked on modeling the water conduction system for the Xexuxcap project. David Heinrich (Dave) finally joined the Rocky Mountain Professionals chapter of EWB in 2014 after many years of intending to do so. He owns his own civil consulting engineering firm called Akamai Design, LLC and has previous experience as the Civil Engineer for the Town of Superior and an associate/project manager for a private civil design consulting firm in Boulder and a land surveyor in both Colorado and Nevada. He received his Bachelors of Science in Civil Engineering from the University of Colorado at Boulder in 2000 and his professional engineering license in civil engineering in 2008. John joined EWB RMP in 2017. He is a water treatment process engineer with Carollo Engineers in Broomfield, CO. He has a BS in Environmental Engineering and an MS in Civil Engineering from the University of Colorado at Boulder. 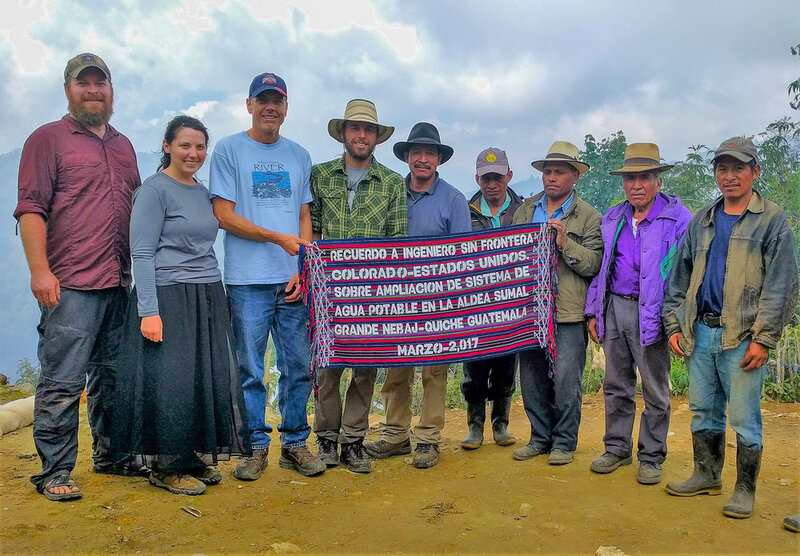 While at CU John was heavily involved with the student chapter and worked on several water and sanitation projects in northern Peru. Joe has a BSCE from WPI, an MSCE from Cornell and attended the Advanced Management Program at Harvard. His 40 year Engineering Career took him to 30 countries. His last assignment was President of the Design Consortium for the $3 Billion Third Set of Locks at the Panama Canal. He is the President of EWB USA. In 2017 he visited about 20 EWB projects in Guatemala and Nicaragua with a highlight being meeting the mayor of Joyabaj, Guatemala. Dave is an environmental engineer and returned Peace Corps volunteer. After graduating from Syracuse University, he spent three years in Panama working with rural water committees to improve their potable water systems. Since then, he has worked as a remediation engineer at two environmental consulting firms. He also loves to ski and be outside. Lastest news and updates from RMP. RMP members and their families gathered together in December to relax, have fun, and get to know each other better. Pictured are just a few of the folks who participated and had a great time. Please consider making a contribution to our year end campaign to ensure consistent and sufficient access to clean drinking water for communities in Guatemala.